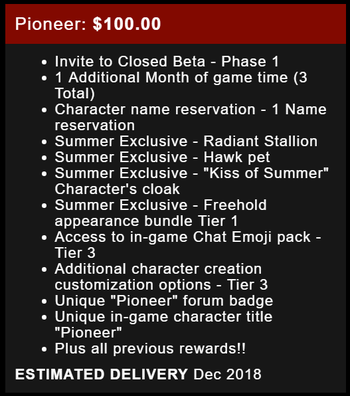 Pioneer was a backer package in the Kickstarter and Summer crowdfunding campaigns. 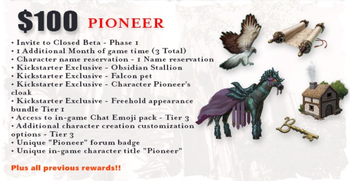 Unique in-game character title "Pioneer" Unique in-game character title "Pioneer"
Plus all previous rewards!! Plus all previous rewards!! This page's content was last modified on 29 September 2018, at 08:21.